It’s been a great weekend in Brighton, but now it’s straight back into training to be ready for the Isle of Wight Challenge at the start of May. That means a 20k trot today. The route yesterday was lined with supporters giving enthusiastic encouragement. Some of the stretches were long and straight, meaning that as you were running, you could see the sea of bobbing heads stretched out in front for some distance. Coming back from the power station to Madeira Drive, the 360 and the pier were landmarks. With the wind blowing at you, they seemed so far away! The final stretch to the finish line is an incredible moment. The crowd are going absolutely crazy and because you are stretched out, it feels like you are the only runner. Suddenly you’re filled with energy and find yourself sprinting (it feels like sprinting…) to the line. Awesome! So now onto a longer run that is a totally different experience. My preference is off road, trailing running so although this is 53k x 2 (Sat/Sun), for me there’s no sense of needing to hit a pace. Instead it is about enjoying the ride, meeting others who are in for the long haul and marvelling at the scenery of the island’s coastal path. As ever, this is for UP, so do follow us with the #upandrun as we seek to raise the awareness of the problem of pain, especially chronic pain, and what we can do as a society to ease suffering. I am pretty excited now. As usual I woke early, so we will get on the road to the South Coast. I’ve not done a road marathon since the London in 2017, and that brings back great memories. This week has been a coaster, or tapering, which has its own challenges that are more mental than physical. Although it all comes as one experience of course — I don’t want to disappoint regular readers into thinking I have become a dualist! I have noticed that the really short, easy paced runs of between 3 and 8 km to be more tough than the long ones! Although important to keep moving and the feel of the stride, I find them heavy, rather boring and puffy (I puff). There you go. Anyway, it’s off to Brighton, one of my favourite places, to pick up the running pack, take in the sea air, meander through the lanes, end up with a big bowl of pasta and an early night. 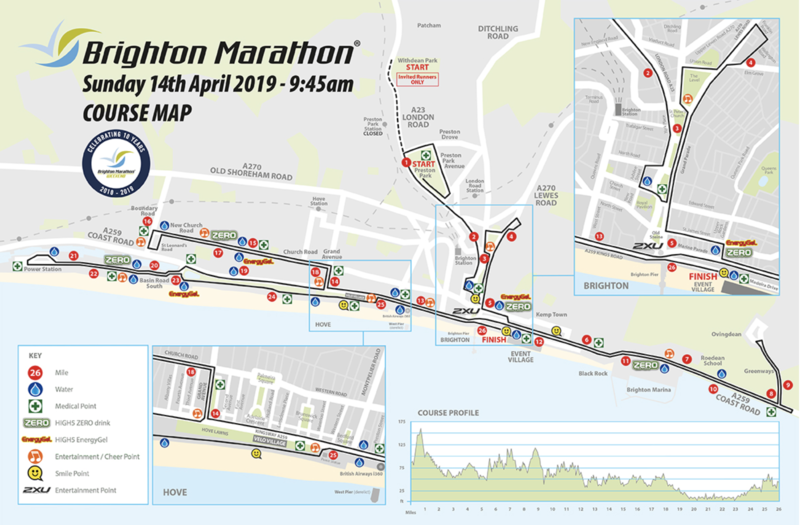 If you are supporting or coming to watch the Brighton Marathon, give me a shout and a wave, take a pic and share with #upandrun so we can spread the word and gain momentum. Understand Pain is all about a better world that we can create together. This is a strong message and one that must be realised. Life is only possible because of change and impermanence. Each moment unfolding is new, and fresh. Bodily sensations such as pain appear in our awareness as the objects and contents of consciousness, just as thoughts, sounds and what we see appear to us. This is our lived experience. When we stop and watch our own experience, this can be realised. What often stays the same and recurs is what we tell ourselves about the pain we are feeling. Of course this can be reinforced by the fact that the same things are challenging each day. We attach to our stories. The inner dialogue can be so influential despite the fact that much of what we tell ourselves is untrue, self-critical or pure nonsense at times. What we need is a self-encourager that comes from self-compassion. A problem that we can all have is the remnants of, or continuation of coping strategies that we once learned to shut off from stress, avoid pain and protect ourselves in the short term. However, in the longer term, the coping strategies cause dysfunction and prevent us from getting better and improving our lives. These are not set in stone and we can create new habits that build wellness and resilience, which support us create a better life. Mindful practice and meditation is one way of realising this experience, gaining insight into the difference between the sensations of pain and the thoughts that we have about the pain. Learning how to observe our thoughts, feelings and experiences enables us to cut through the sense of self, be in touch with reality (the present and only moment), let go and liberate ourselves from on-going suffering. Buddhism talks about the two arrows. The first arrow is the pain that you feel. The second arrow is the suffering caused by the way you are thinking about your pain. Learning about the knowing the difference is important. There is much to be hopeful for. For some years I have focused on helping people gain insight into their suffering and what they can do to move onward. Compared to 10 years ago, people are much more open to what we know about pain rather than being dominated by limited beliefs and social conditioning that we are all subject to in unique ways from childhood through. The research and study of pain continues to reveal much that we can distill into practical tools for day to day use. Improving lives is a learning process, taking on new habits to build momentum. Some of the skills initially surprise people, but soon enough they realise their potency in changing our experiences sustainably. Pain can be thought of as a need state like hunger or thirst. Similarly, emotions are considered to be indicative of our inner physiology that guide as towards a range of actions to make sure that we maintain healthy parameters. What is a need state? This is when we become aware of a feeling, often closely associated with thoughts (the brain basis of thoughts and feelings co-exist, which makes sense), which has the purpose to motivate action. Our brains and its body systems need each other, and this is part of how we obtain what we need to survive. Our brains are only interested in survival, which is why many people suffer as a consequence of the lives we lead within the current society. We are designed to look out for danger, and together with the ability to think back and ahead, we can perceive threat very easily. As we keep practicing this, we get very good at it! The consequences of worrying about things that usually don’t happen, or replaying past unpleasant events include all sorts of common ills. For example, chronic pain, IBS, headache, migraine, functional movement disorders, anxiety, depression, pelvic pain, skin disorders and autoimmune diseases. The reason is because we become ‘inflamed’ by the way we live, spend much time in a protect state and hence the healthy mode is quashed. We can change this as soon as we decide to improve our lives in a number of ways. All of these feelings mentioned above are all signs. They create the opportunity to make changes, create new habits and build a better life. This makes sense because there are many ways we can now satisfy our wants, and indeed society encourages this everyday. You may want to buy things, accumulate stuff, eat junk food, drink alcohol, smoke cigarettes and more. Yet we do not need these things, which only bring very short term relief before the next urge. Pain as a need state to be transformed requires facing the reasons why the person remains in pain. This can be challenging because we don’t usually like to deal with our ‘stuff’. Instead, it appears easier to take a pill or have an injection or something else that appears to be quick fix. However, none of these things truly transform suffering and liberate the individual. Medical care can contribute a little, but it is the work of the individual to understand their true needs and meet them each day that makes the difference. Pills do not teach you how to live well moment to moment. You must learn the skills of being well in your own way. This is the purpose of The Pain Coach Programme. To deliver the insight to people so that they can understand their pain and move on to a fulfilling life. This is whether they are a struggling athlete who feels on-going pain, someone with a condition that features pain, a person who feels life has got on top of them and they hurt (and feel exhausted all the time), right across the ages and certainly spanning our society. We must revise our thinking in society so that the suffering eases. That’s the purpose of Understand Pain (UP and why I am running (follow #upandrun on Twitter) many miles, writing these blogs and giving talks. We can do this together, so please share! All of what I write is based on the latest research and understanding of pain, so whilst it may sound different (and I hope it does), this is because we have been conditioned to believe something more simple. But the more simple version is not solving the problem. It is likely making out worse because people are continuing to rely on drugs and other means to get better, when they do not provide the answers. You do. What does this mean? Put simply, pain is experienced by the person and not by the bodily location or part. In the case of back pain for example, it is not the back that is in pain. Instead it is the person who experiences back pain. This is no different to thirst in as much as the mouth does not experience thirst and head off to get a drink. The person does. Now, what does ‘whole’ refer to? Again this is a key point of understanding. There are no separations. We are whole. The lived experience, what it is like to be ‘you’ in any given moment, emerges from the meeting of thoughts, perceptions and actions (enactivism). One of the reasons why considering the whole person is so important is because it is the person that we treat. Pain is poorly related to tissue state, but it is well related to the state of the person. It was Oliver Sacks, the famous neurologist and writer, who stated that it is as much about the person as the condition. He was a man of great compassion and insight. Conditions in name are lists of signs and symptoms. They are brought to life by the whole person in a unique way with all his or her thoughts, feelings, emotions, expectations, hopes, priors and beliefs, each in a different environment and context. A huge number of variables exist within every unfolding moment. Listening to the narrative illustrates this, which is why deep listening is important. The model that best represents the whole is the biopsychosocial (BPS) model. Truly using this approach means that the biology, psychology and sociology of pain are considered, in relation to each other. It is in the middle of these overlapping dimensions that the person’s experience sits. This is what we seek to improve, the lived experience. When we focus on the person and what they want to achieve in their life, we can design a programme that encourages and supports them to take steps in that direction each day. This can only be achieved by thinking about the whole person. There is a straightforward difference between pain and injury. Pain is subjective and injury is objective. Pain is a lived experienced. An injury is a disruption of the body tissues. You cannot see pain. Usually, you can see an injury. Unfortunately the words are often used interchangeably. Further, there is the belief that pain and injury are well related. However, we have known that this is not the case for many years. Pat Wall, one of the forefathers of modern pain medicine and science, spoke about this in his famous 1979 lecture. Since then there have been countless studies showing that pain is part of how we protect ourselves and related to the state of the person within a particular context. We have many stories of varied pain responses to different injuries. Sports people continuing to play with sprains and fractures, soldiers sustaining severe physical trauma reporting no pain, and the large proportion of people suffering the symptoms of IBS without any notable pathology. More-so, there are no investigations that show pain. Pain cannot be seen on an X-ray or an MRI scan. We must be clear. People suffering pain must understand why they feel pain, why and how it can persist, and then focus on the steps that they can actively take to move on and get better. Misunderstanding pain is one of the main stumbling blocks. Erroneous thinking results in wrong decisions about treatment and self-care, but also impacts upon the sense of empowerment, belief in oneself to improve and hope. Truly understanding pain helps the person to let go of unhelpful and fearful thoughts and to build confidence (in moving for example). It creates a strong foundation from where the person can build and gather momentum towards their picture of success. I completed the final 20 + miler on Saturday and it felt great. It is Monday and I am pretty much recovered — the 175 stairs upward at Russell Square this morning left me with a little burn deep in the calf muscles. They need some attention: stretching, rubbing, easy contractions. Initially I had thought about running Brighton and then next day doing 40k in readiness for the ultras in May and July. Taking advice, I scrapped that idea, however I need to get back to the mileage and some hills soon after the marathon. There is only a few weeks before the trot around the Isle of Wight: 106k over two days. There is a different feel to the (road) marathon and the (off road) ultras. The obvious contrasts are the distance and the terrain, but for me it’s the whole vibe of trail running that energises me. There’s no great talk of times, instead completion, camaraderie and countryside. So, the next couple of weeks will be light runs, getting lighter, lots of resting, stretching, meditating and fuelling up. And the Free Understand Pain Talk also on May 22nd at The Groves Medical Centre, New Malden for people suffering chronic pain who want to understand their pain and move on to a better life. The workshops and talks are one of the ways that we intend to share the right messages about pain and what people can do to improve their lives. To scale this we need to continue to raise funds, the reason for the #upandrun series. If you suffer chronic pain or know someone who does, you will realise the size of the problem, the mismatch of the needs of millions of people and what is offered. The misunderstanding of pain in society often leads to the wrong choices and treatments — frequently a narrow focus on the area that hurts rather than on the person. Pain is poorly related to tissue state. Pain is well related to the state of the person. Most people realise this when we reflect on the changes in state and how the sensations of pain vary. It’s experiential rather than a concept. The bottom line is that pain can and does change, starting with understanding it. Many people often realise an immediate reduction in suffering when they blend what we know about pain with their own narrative and experience. The knowledge of how the brain processes information, how we embody our thoughts, feelings and actions, and the emergence of conscious perceptions are all delivering great insights for us to distill into practical ways of improving our lives. 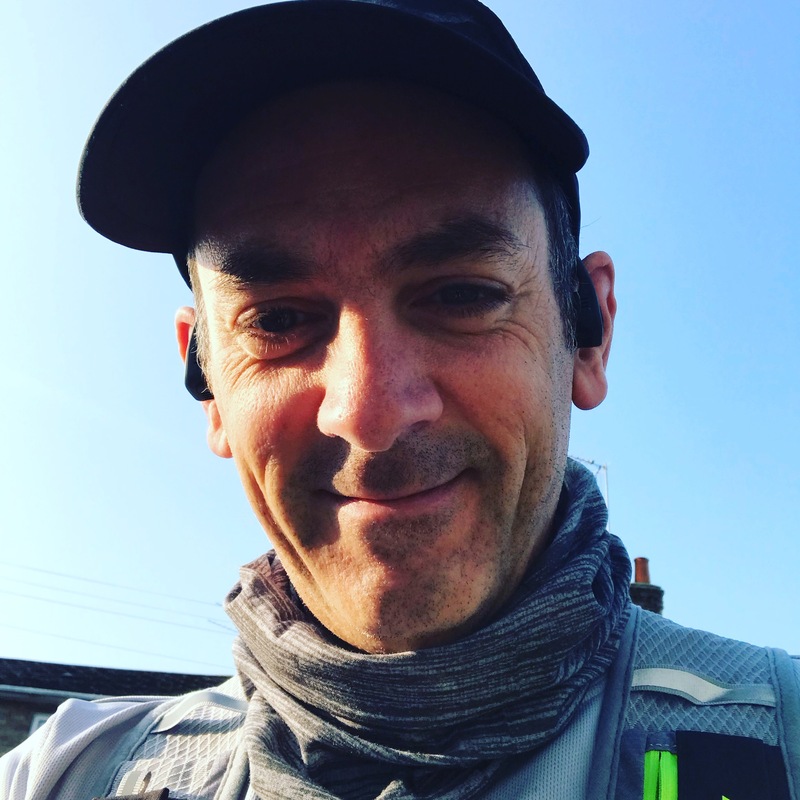 You can support our work here by sponsoring me…thanks!